Our Idaho sport fishing adventures include fishing on the Salmon and Snake Rivers in Idaho’s deepest and most beautiful canyons! The fishing is great and your guide “knows” the holes! The variety of fish in these rivers is what makes it so exciting! Sturgeon, Steelhead, Trout, Bass and Catfish. They’re all here! 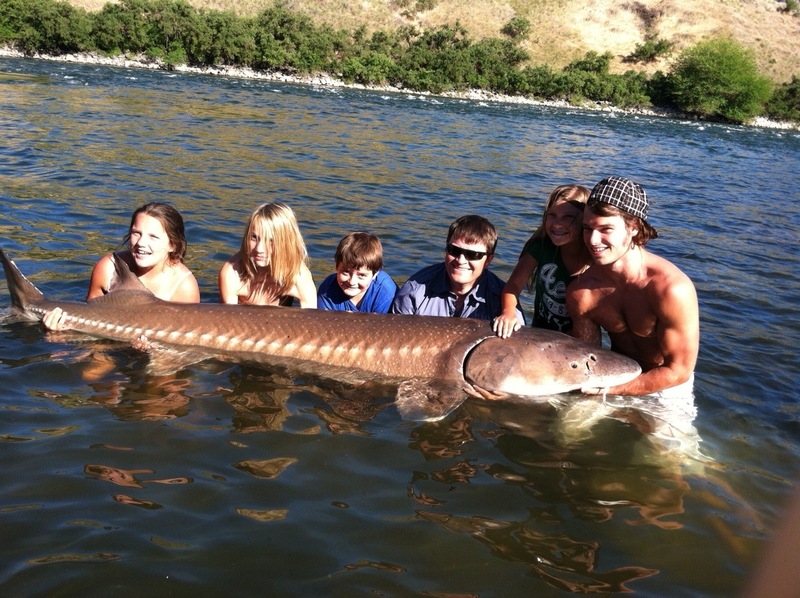 Fish for Sturgeon and you may have up to a two-hour fight on your hands bringing in a possible 10-foot fish. 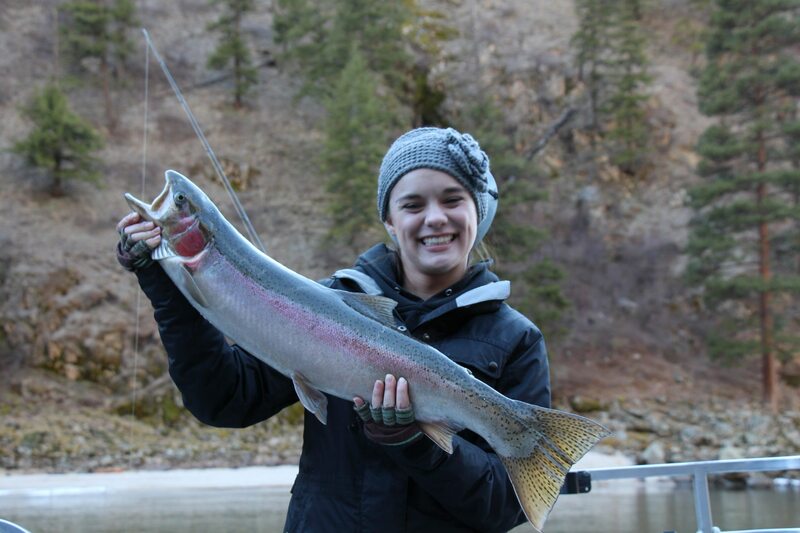 How about Steelhead fishing? That’s an ocean-going trout that can measure in up to 40 inches and weigh over 20 pounds! All of our fishing trips take place on coast guard approved jet boats with experienced guides. 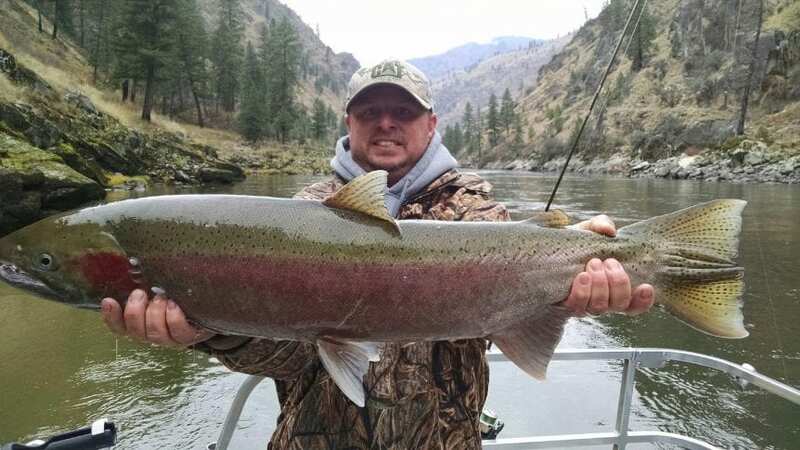 Whether you love to fish or have never even tried, a snake or salmon river fishing trip is a great opportunity to go home with a big fish story! 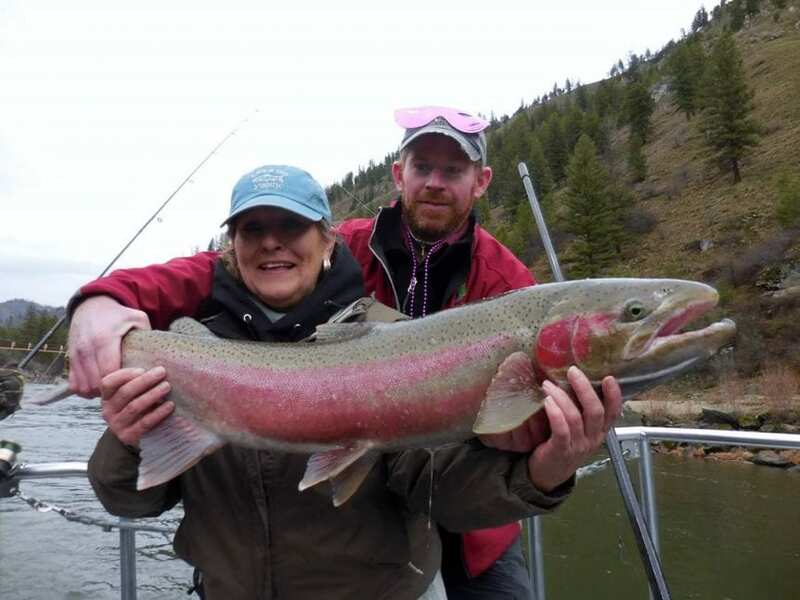 Whether you’re an Idaho native or visiting from out of state, you’ve got to try a guided snake river or salmon river fishing trip with our River Adventures guides. They will take you to the best fishing holes and coach you on pulling out the best catches for the guided fishing trip of a lifetime. You’ll make memories with your companions that will keep you talking about the trip for years to come! 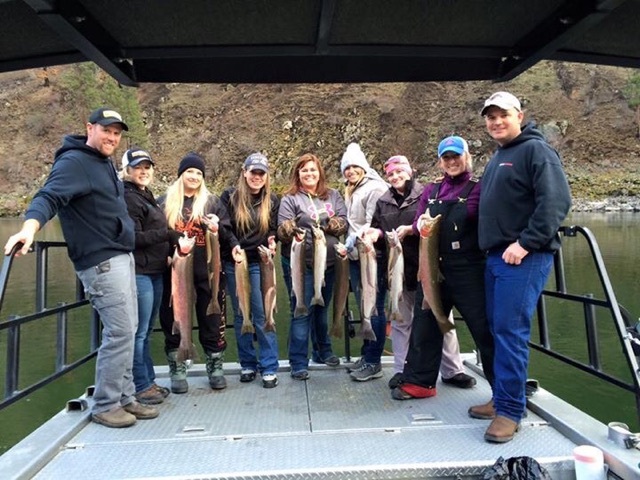 Charter Hells Canyon $1,350+tax up to 6 people. Additional $75/person after that. 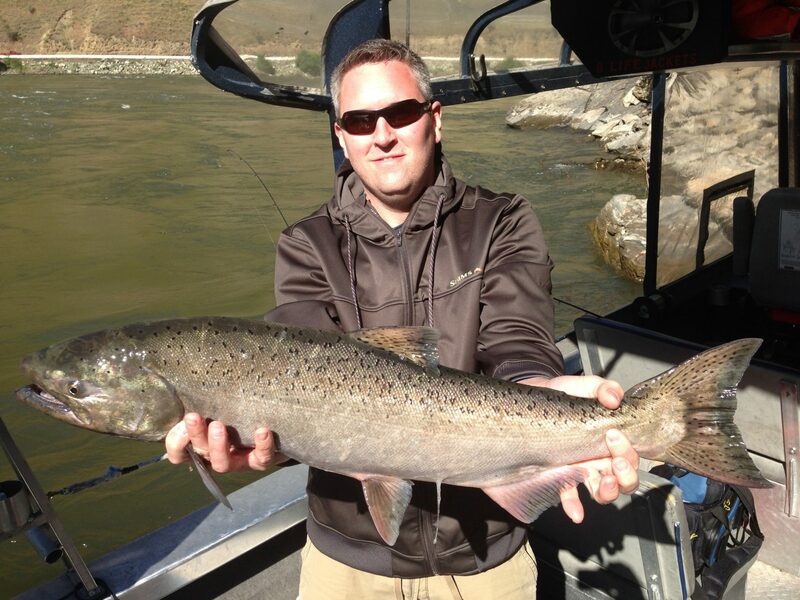 Salmon River Charter $1250+tax up to 6 people. Additional $75/person after that.